Jimmy Shane is back in the cockpit of the four-peat reigning 2017 National Champion Miss HomeStreet Bank. Shane is a five-time defending driver champion, having finished first in the Graham Trucking in 2013. 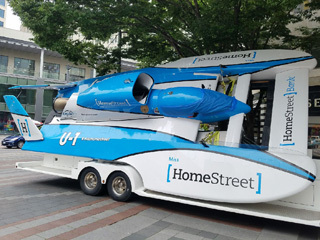 The Madison team has announced a new hull but is not complete, however, their current hull (0706) is tested and ready to race at the opener in Guntersville, Alabama. Looking back to last season, the HomeStreet won in Seattle and at the Detroit Gold Cup; two out of five for-points races. Shane’s sixth driver championship in a row is a real possibility in 2018 as the HomeStreet remains at the top of the H1 heap. Veteran owner and team manager Scott Raney, along with veteran racer Tom Thompson, return in 2018 again with backing from J&D Hydraulics. 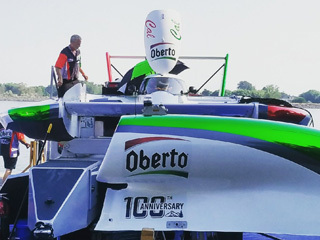 The URG team managed a fourth place national high points finish in 2017 even with their poor performance in Detroit last season where the U-11 (0925) scored only 130 points during the two-day, two-race event. 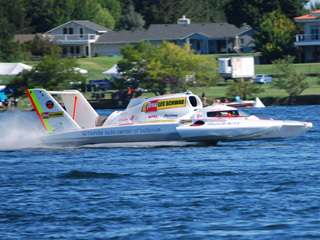 The team achieved its greatest success in Tri-Cities where it grabbed four second place heat finishes before an unfortunate DNF in the final. With any luck, look for the hard-working URG team to make some noise in 2018. The rookie campaign for Rob Graham’s very own race team started off rosy with their maiden win in Tri-Cities, Washington. 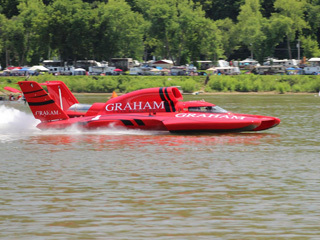 The former Bud hull and Graham Trucking entry (0001) and formidable pilot, J. Michael Kelly are plenty capable of podium finishes and heat victories. Rumor has it, however, that they may only compete in Tri-Cities this season. 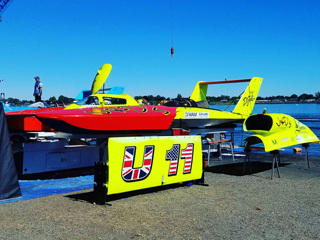 After earning much respect during 2016 with a solid fourth place finish in National High Points, the U-21 (0721) and driver Brian Perkins took a step back last season when they competed in the two State of Washington races only. 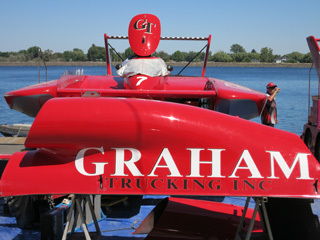 In Tri-Cities, the rudder sheared off the boat, requiring extensive work in order to race the next weekend in Seattle. Despite these setbacks, the program appears to be poised to see the water more in 2018, although the team has already announced they will not race in Madison, Indiana. The Alabama-based team’s participation in the 2017 season consisted of the non-points exhibition in Madison, IN with relief driver JW Meyers at the controls. For 2018 it appears the former Our Gang racing hull (0717) will return to the circuit for the team’s home state race in Guntersville, Alabama. The Motor City’s Cal Phipps will again assume regular-season driver duties for Wiggins Racing and will strive to recapture the magic of their 2015 maiden campaign where the team finished third in high points. Some doubt remains as to how many races the team will actually attend. As per usual, the Go3 team’s plans are still in flux for the 2018 season, with the only certainty being the Tri Cities Columbia Cup in late July where the 3 will perform for long-time backer Charlie Griggs and sport the livery of his Ace Hardware store. In 2017, Mr. Cooper’s big red turbinator (0203) ran an abridged season consisting of TC and Detroit. 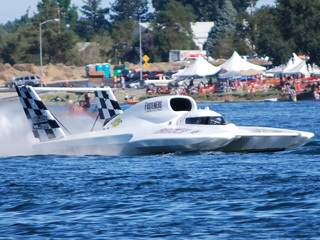 Tri-Cities saw the team’s best outcome with a Heat 4B victory and a second-place finish in the final, proving once again that the old Allison can still run with the turbines and give fans on the beach a reason to root for that powerplant. Owner Kelly Stocklin returns with his undersized and underpowered underdog in 2018. 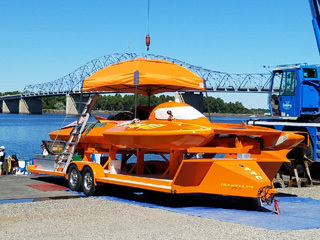 The vibrant orange U-440 (1218) hull is outfitted with a T-53 turbine engine that makes about half the horsepower produced by the T-55 “big dogs.” The BLR team scored in 4 of 5 races in 2018, earning a season-best at San Diego with a respectable 719 pts. The team completed a successful pre-season test at Tri-Cities. Look for driver Dustin Echols to largely stay out of the fray and attempt to finish heats this season. Bert Henderson’s first full H1 appearance was at the 2017 Gold Cup, where some might say he was baptized in the Detroit River. 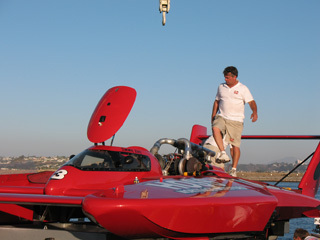 Henderson, competing for “new to the series again” owner Dave Bartush, was involved in a gruesome mishap where the U-12 and U-7 struck in pre-race dicing. The U-7’s canopy lid was severely damaged during the incident. The damage to the T-5 (ex Budweiser, ex Graham Trucking) sled has since been repaired by Henderson himself and it appears the team will compete at every H1 event in 2018. As Henderson grows more comfortable, this team will be a late season threat for race wins. Andrew Tate’s sophomore campaign started out magnificently in Madison with an exhibition win on the tight Ohio River race course. Tate then scored an emotional victory on his home water at Detroit’s President’s Cup, and concluded the year with a sensational salt-water victory in San Diego. There is little doubt that young Tate is on a trajectory to be the sport’s next superstar. The well-prepared race boat (92102.5) owned by Mike and Lori Jones has tested preseason in TC, and appears ready for a serious championship run in 2018. 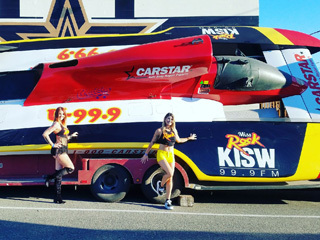 The aging U-99.9 (9899) hull was partially rebuilt in the off-season by new driver Aaron Salmon and the 99.9 crew to repair damage stemming from the violent flip sustained in Detroit last season. Salmon will be a new H-1 chauffeur in 2018 and will need to qualify as a driver. The popular Miss Rock sponsorship is back on the boat and the team has announced it will run fill circuit. It remains to be seen if the reworked hull will be lighter on her feet than in previous years, when the 99.9 simply did not have enough beans in the engine compartment to race with the other boats in the fleet.